Okay, I admit it. I cannot stop myself from drawing stuff on customer quilts that they don’t ask for. 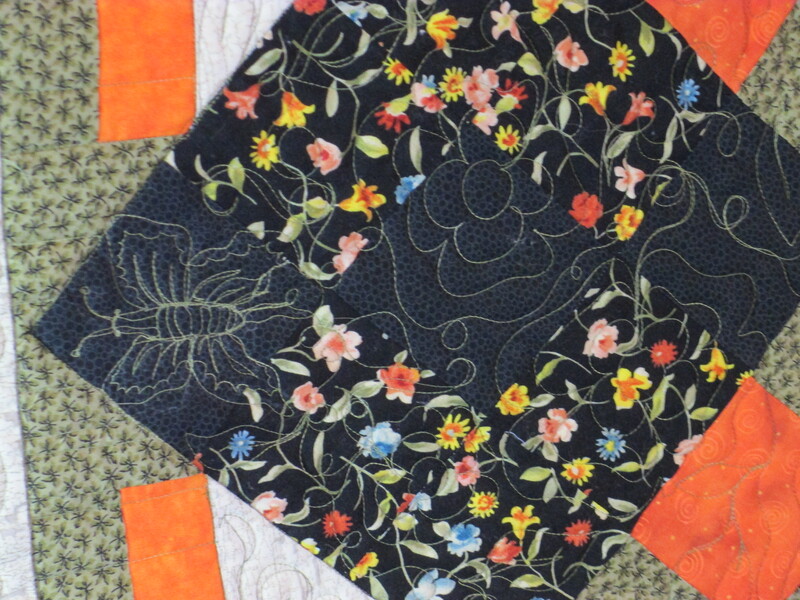 One of my customers has nicknamed me “Sneaky.” The problem is… I’ll be quilting along and my brain will say that something such as a frog would look cool on this quilt. Now, I know better than that! 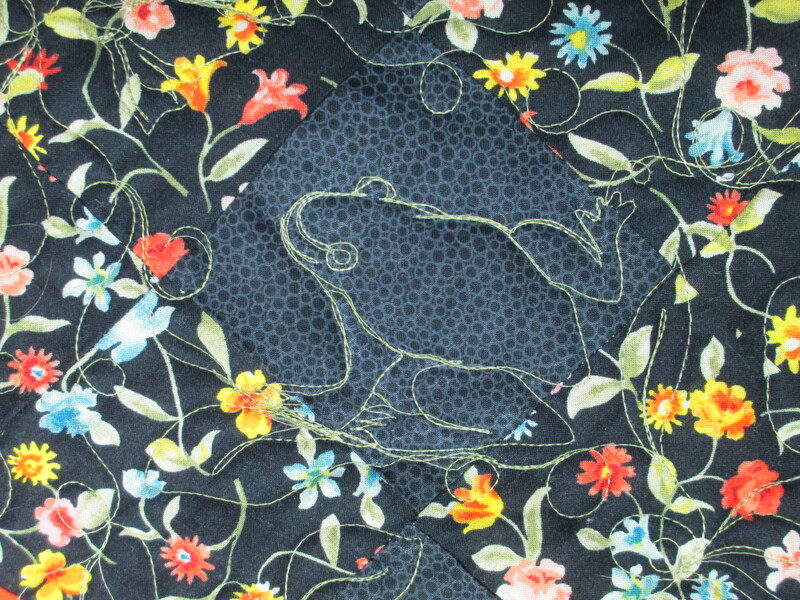 It’s not my quilt, and I tell my brain that, but before I know it, I am stitching a frog into the quilt. 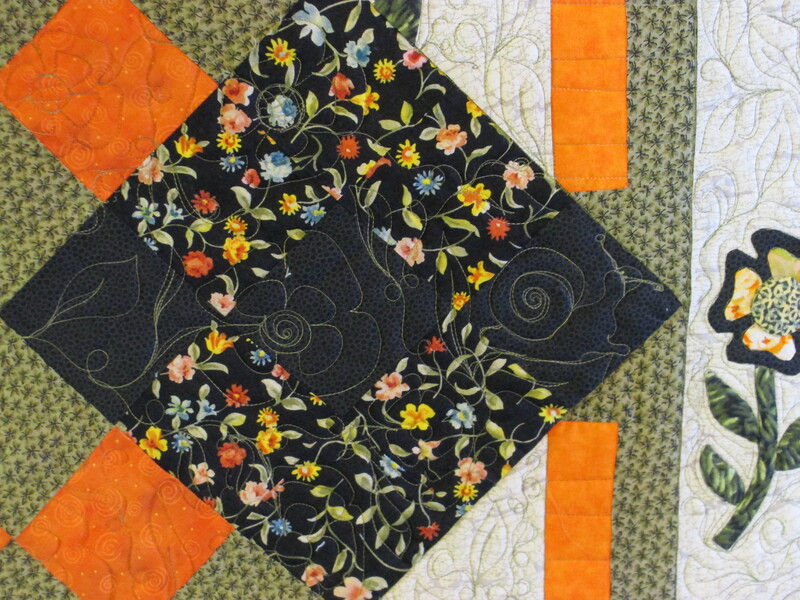 I honestly don’t know what happened to me with this quilt. 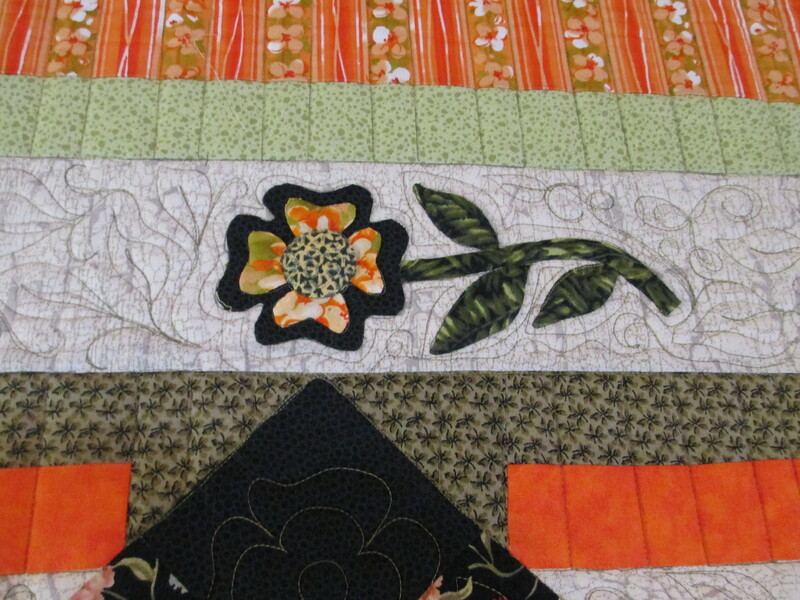 I am quite embarrassed at how bold my “evil twin sister” was in putting these items on this customer quilt. 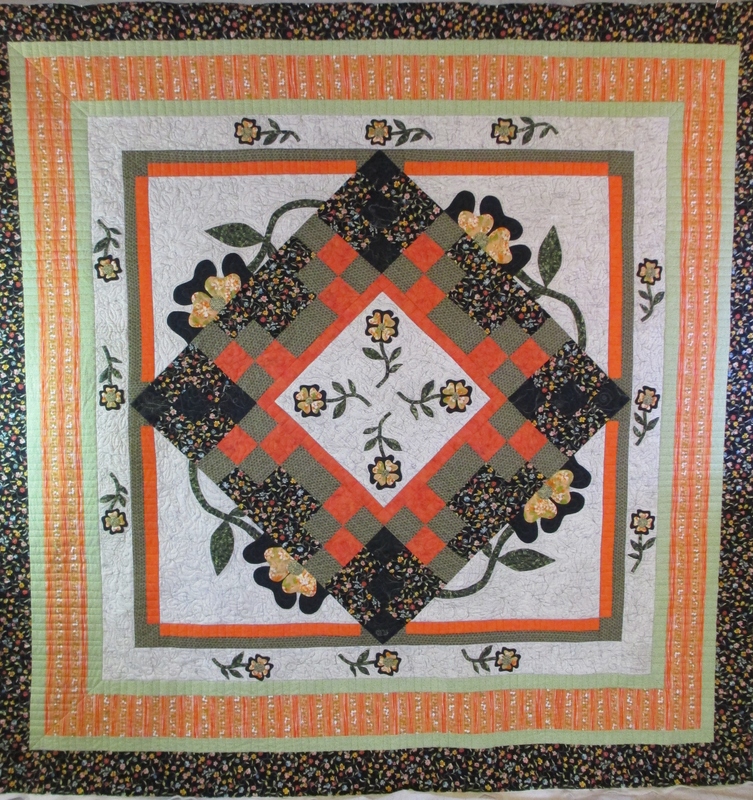 All I wanted was for my quilting to complement the customers quilt top. Did you notice they are all drawn into the black spaces where they can easily be seen? WTH??? 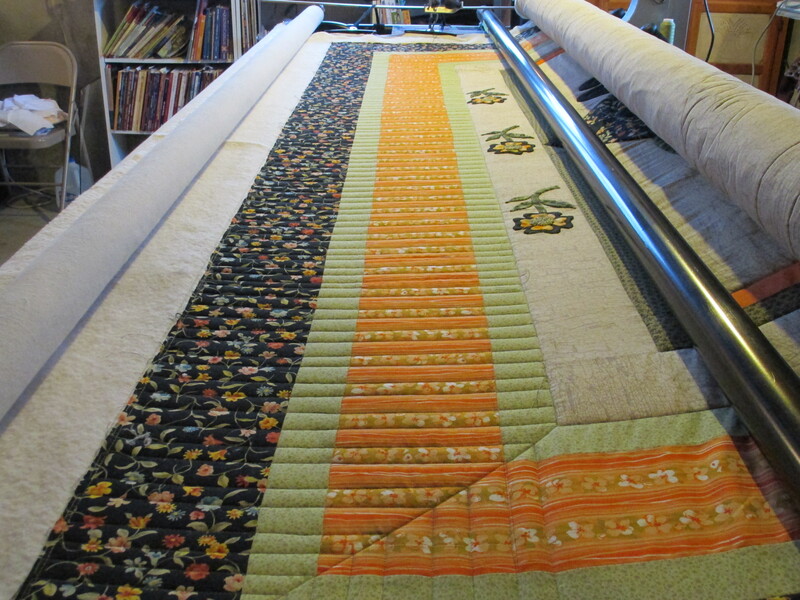 I get embarrassed by my quilting anyhow and don’t want it screaming at the world, so what came over me (oops! I mean my evil twin sister) with this one? 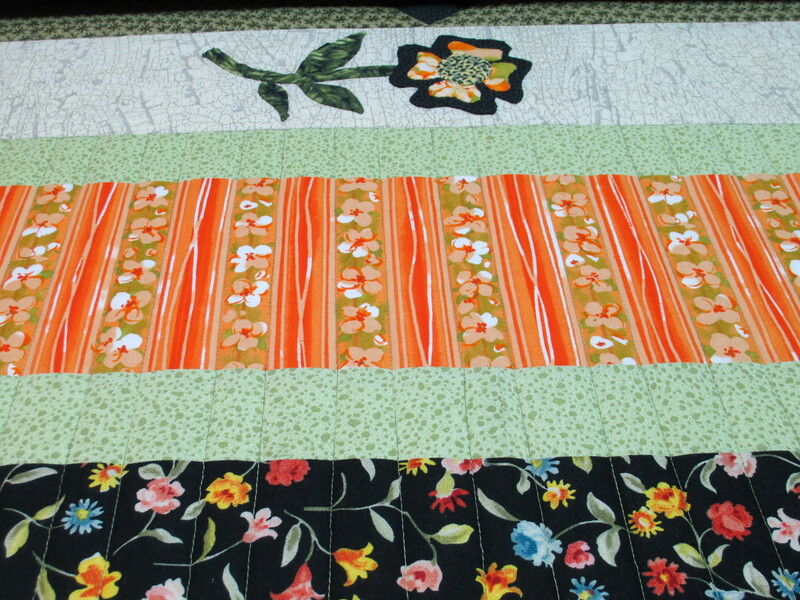 She also wanted piano keys, but she was worried how the green thread would show up against the orange striped border. I was a bit worried how it would look, too, so I stitched right inside the parts with the green in it to help the green thread blend into the background (so how come my evil twin sister was so brazen with the creatures stitched into the black fabric?). But, here is the finished product. From here, you can’t see any of the stitching, for which I am truly grateful. 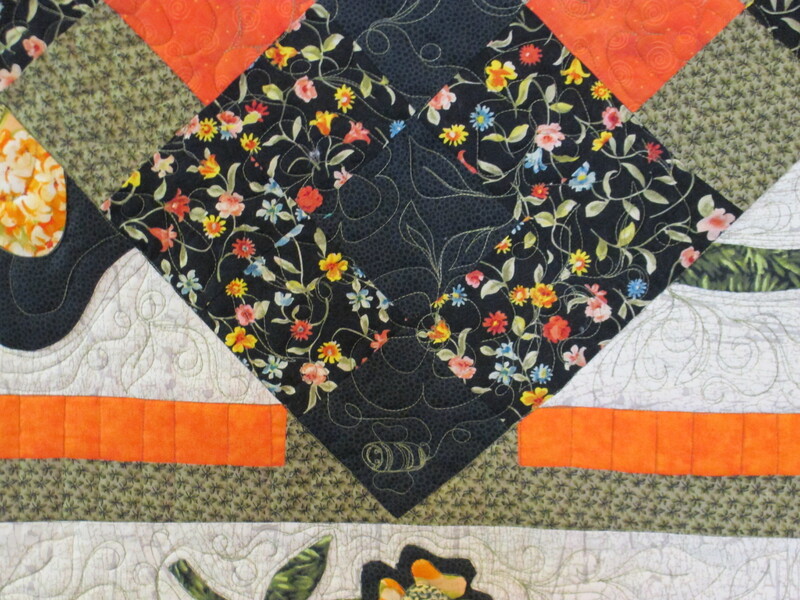 I love her applique work and the way she brought it all together!